Up to 3,000 people marched through the streets of Gaza City after nightfall tonight to mark Yasser Arafat's death, firing into the air, wearing his trademark headdress and carrying his portrait. Forty days of mourning were declared by the Palestinian Authority after the veteran leader died in the early hours of this morning in a military hospital in Paris. Mr Arafat, who was 75, was brought to France a fortnight ago to undergo treatment. Mr Arafat's coffin was brought by French military helicopter from the Paris hospital to the military airfield at Villacoublay, just outside the capital. The coffin was given full military honours at a ceremony at the military base with the French Prime Minister, Jean-Pierre Raffarin, and French and Palestinian dignitaries in attendance. It was flown to the Egyptian capital, Cairo, where a military funeral will take place tomorrow. A colour party of Egyptian soldiers took the coffin from the plane on its arrival in Cairo. The Government will be represented at the funeral ceremony at Cairo International Airport tomorrow by the Minister for Foreign Affairs, Dermot Ahern. A book of condolence is being opened by the Irish Palestinian community. The Delegate General of Palestine to Ireland, Ali Ahmed Halimeh, said the book would open from Saturday at the Mansion House in Dublin, and will remain open until Monday. The former Palestinian Prime Minister, Mahmoud Abbas, has been confirmed as Yasser Arafat's successor as head of the Palestine Liberation Organisation. Palestinian parliament speaker Rawhi Fattuh was sworn in as acting President of the Palestinian Authority in the wake of Mr Arafat's death. Mr Fattuh will remain in the post until fresh elections are held in 60 days. Faruq Qaddumi, who co-founded Fatah with Mr Arafat almost half a century ago, has succeeded to the leadership of the faction. He is 73. Mr Arafat was also chairman of the Palestinian National Security Council. The Palestinian Foreign Minister, Nabil Shaath, has said Palestinians want to resume talks with Israel as soon as possible on the stalled international road map for peace. He said the United States, the United Nations and the EU should work to ensure that a meeting would take place to bring the two parties together. This morning, Israeli Prime Minister Ariel Sharon said the death of President Arafat could be a historic turning point for the Middle East. However, he said the new Palestinian leadership needed to wage a war on terror. In his first public reaction to the death, Mr Sharon said Israel would continue its efforts to reach a political settlement with the Palestinians without delay. Earlier, Israeli Foreign Minister Silvan Shalom said Israel would be willing to renew a peace dialogue with Palestinians if a moderate leadership was elected in the wake of Mr Arafat's death. The Taoiseach has offered his condolences to the Palestinian people on the death of their President. In a statement this morning, Mr Ahern said Mr Arafat had always been a key symbol of national unity for the Palestinian people. The US President, George W Bush, described Mr Arafat's death as a significant moment for the Palestinians in their search for peace and an independent state. 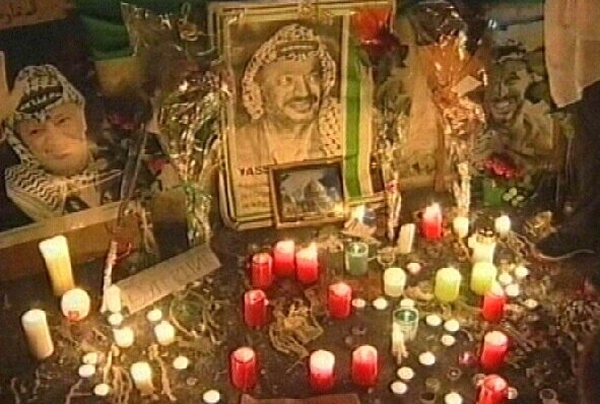 The British Prime Minister, Tony Blair, described Mr Arafat as a symbol for the Palestinian movement who had worked towards peace in the Middle East. French President Jacques Chirac described the Palestinian leader as a man of courage and conviction. Following the announcement of Mr Arafat's death, the Israeli army sealed off the West Bank and Gaza Strip. The army said the decision was made following security assessments by the government. 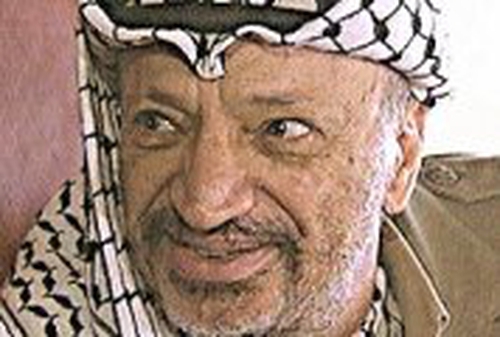 The militant Islamic group, Hamas, said Mr Arafat's death would strengthen its resolve to keep up attacks against Israel. Read a full biography of Yasser Arafat here.